The regeneration of Kambah Village continues. Plans are now available for comment on a new private development to extend the Woolworths building and deliver a new entrance to the shops. I have also released the plans for stage 2 of the ACT Government's $2 million in upgrades to public areas around Kambah Village. Plans have been revealed for a major private re-development of Kambah Village, including an extension of Woolworths. The proposed expansion of Woolworths will extend the supermarket by 1,754m2 to comprise a total area of 3,475m2 including a BWS 200m2 in size. 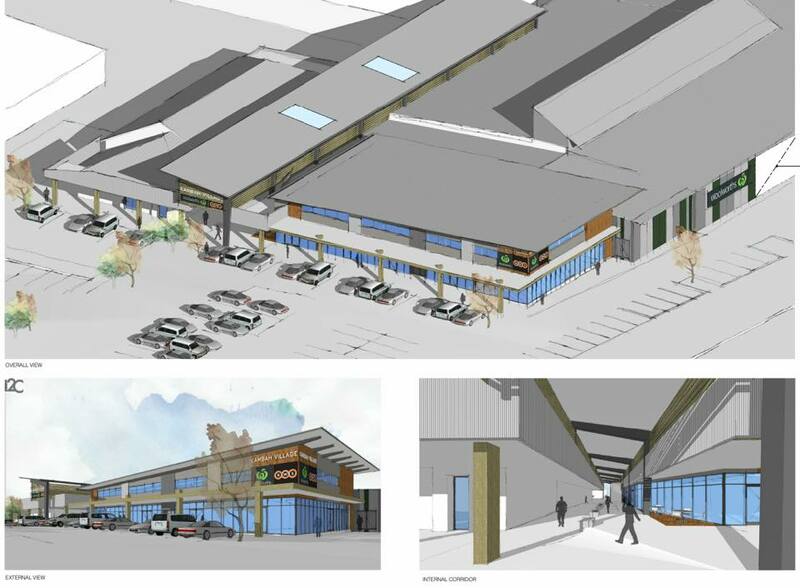 The application says this would provide a much larger, modern supermarket layout with the potential to provide a broader product range for residents. The proposal also includes a new covered entrance at the Northern end of the centre as well as new commercial retail spaces. You can view all the plans here and comment on the development application. 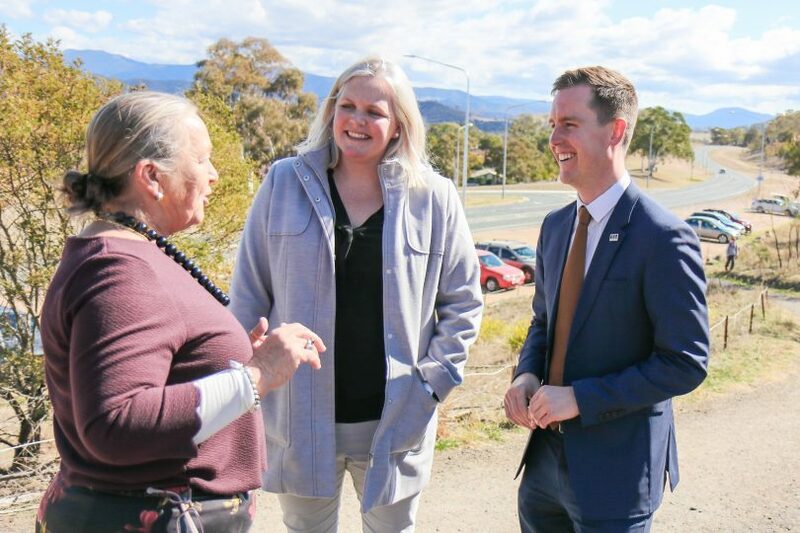 As the Minister for City Services, today I announced that the second stage of the ACT Government's upgrades to Kambah Village will begin in November 2018, focusing on the public areas in the South-East of the Village. This follows the completion of stage 1 of the upgrades in the courtyard area. The final sketch plans detail include around $2 million worth of upgrades to the existing playground, with new play equipment such as a basket swing, slides, a climbing frame and trampolines, as well as a new shade sail. Upgrades to the public areas also include newly irrigated grass areas which will form a shaded common green gathering space with new deciduous trees, gardens, a barbecue shelter and picnic settings. Other improvements include wheelchair compliant toilets, additional car parks, a range of seating areas, new waste enclosures with an artistic screen, and upgrades to the pedestrian lighting and pavements. 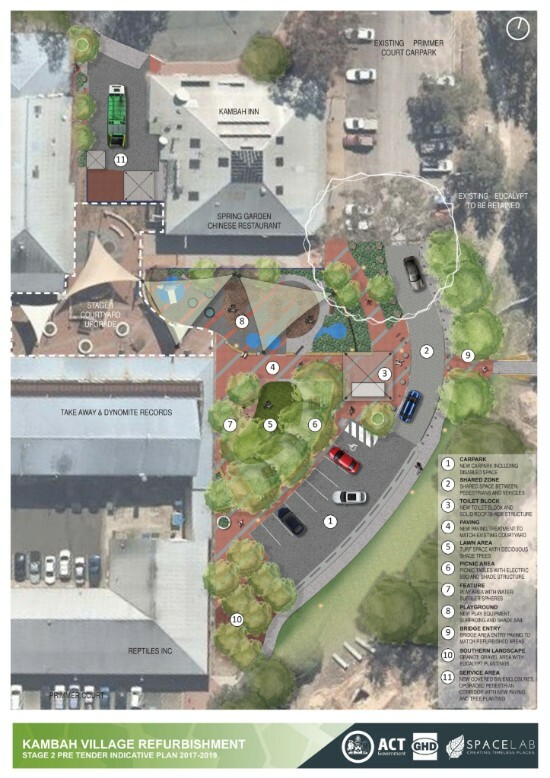 View plans for the Kambah Village Stage 2 upgrades here. Joy Burch MLA, Taryn Langdon and Chris Steel MLA, Minister for City Services. As the new Minister for Roads, my first announcement was to upgrade the car park at the foot of Mount Taylor on Sulwood Drive to meet the growing demand. I know from personal experience and from what Kambah residents have told me, the number of visitors to Mount Taylor is increasing. This has resulted in situations where the carpark on Sulwood Drive often has up to 80 cars parked in it to access Mount Taylor. To improve safety, there will be only one clearly signed entry and one exit point to the car park 150m west and east from the intersection with Mannheim Street. A kerb barrier will also be placed on the road edge to prevent vehicles exiting and entering the car park directly around the intersection. The dirt car park will be levelled and resurfaced with chip seal to suppress dust and dirt and improve the look of the car park. Work is expected to begin this month. I will be at Kambah Village on Saturday 24 November from 9:30am - 11:00am if you'd like to chat through the plans above. I will also be nearby at Mawson Southlands on Friday 2 November from 4:00pm - 5:30pm. P.S. work continues on the new pond near the Burns Club in Kambah which will include a platform where visitors can take a moment to relax and enjoy the view. This is is part of the Healthy Waterways projects, playing an important role in improving the health of Lake Tuggeranong.